CGPSC 57 Homeopathy Medical Officer 2017 - Admit Card Released! CGPSC Homeopathy Medical Officer Admit Card 2017 - Job notification regarding Apply Online for 57 Homeopathy Medical Officer Posts in Chhattisgarh. Online Applications are invited by Chhattisgarh Public Service Commission, Raipur before 30 Jul 2017 for 57 vacancies. Update (22.09.2017): Exam is scheduled to be held on 13.10.2017. Update (05.10.2017): Homeopathy Medical Officer Admit Card released. 22 years - 30 years as on 01.01.2017 and for resident of Chhastigarh Maximum Age Limit is 40 years. Graduate in Homeopath with Internship or 4-Year Diploma with 02 year experience in Government Organization. 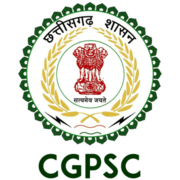 Eligible candidates may apply online at CGPSC website http://psc.cg.gov.in from 01.07.2017 12:00 AM to 30.07.2017 11:59 PM.